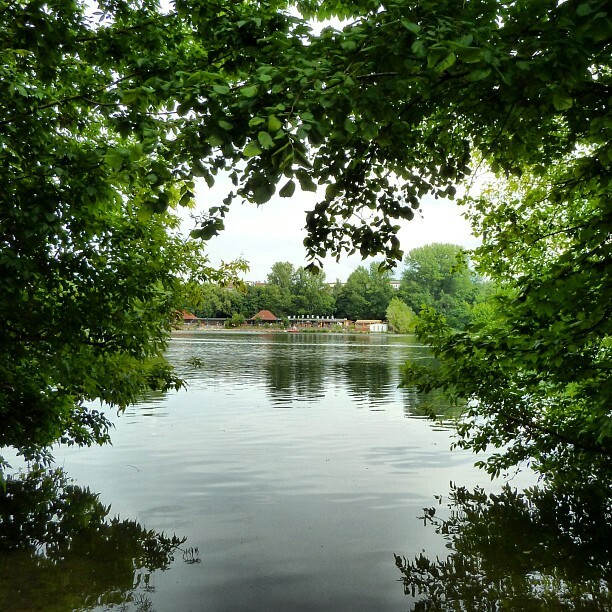 Looking through the photos of Berlin’s parks on Planting Art, all taken this summer by Texas-based artist and landscape architect William Niendorff, it’s hard to believe all these green spaces are in Berlin. While the city did impress me as spacious and green at first, in my daily orbit it strikes me as a bit grimy and crowded. 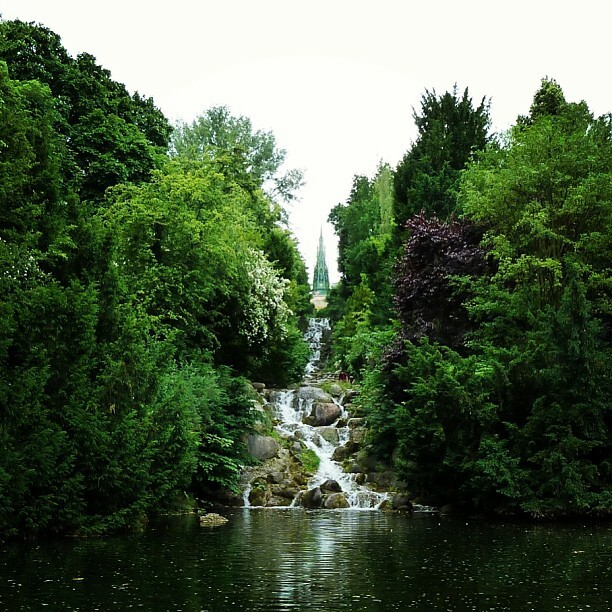 But when you take the time to travel to each of Berlin’s loveliest parks, lakes and gardens, as William has done for a book he’s making, you can see sights straight out of fairy tales and stumble on idylls that feel miles away from the metropolis. I’ve been to this park many times, but I’ve never seen it looking quite so magical as in William’s photo. I also never knew that the hill in this picture, the Kreuzberg, is one of the few hills in pancake-flat Berlin that was actually formed naturally by glacial movements, rather than being constructed of rubble from the World Wars. William clued me in during our meeting last week, and afterwards, I found a painting showing the Kreuzberg in 1829. I’m happy to see such a lovely picture of the Plänterwald, one that’s not focused on the shuttered amusement park gently decaying within it. 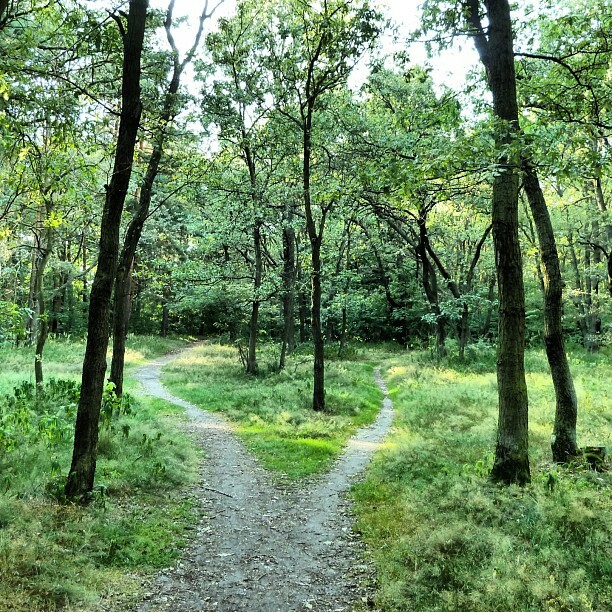 A Plenterwald is a managed forest in which trees are selection cut, maintaining stands of trees of varying dimensions; these woods were once used this way. They now comprise the wilder, unkempt-looking part of Treptower Park. A surprising number of parks in William’s photos are the opposite of unkempt, though. 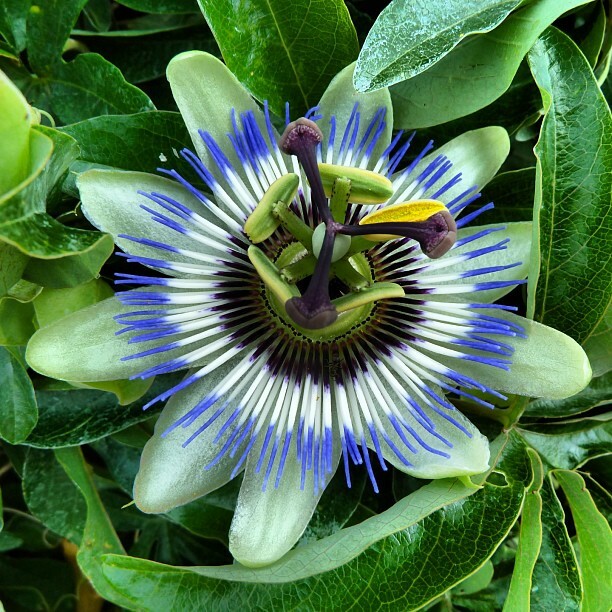 What blossom is more carefully turned out and styled than the passionflower? 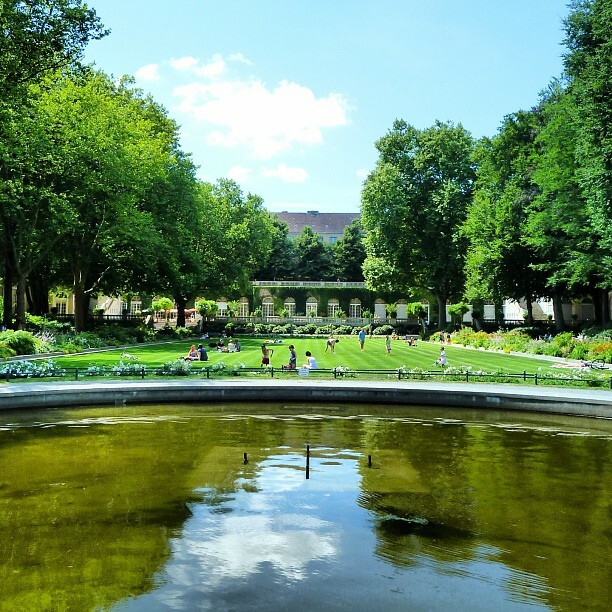 Some parks in Neukölln are also astoundingly well-groomed, despite having a reputation, until recently, as a problem district. 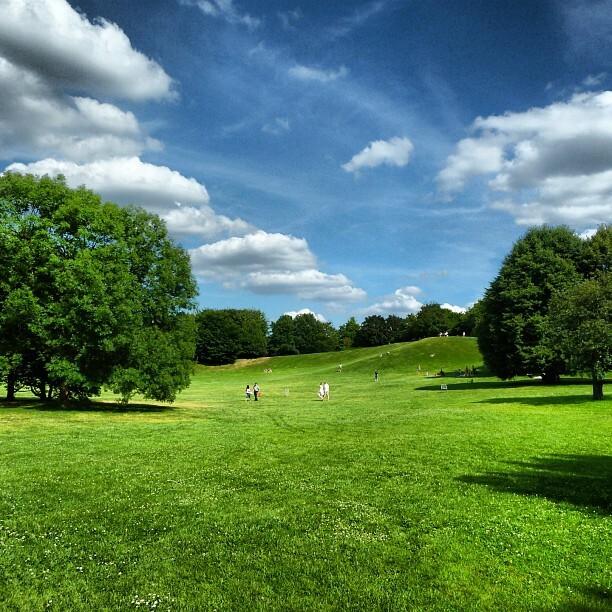 I walked around Körnerpark last week and it looked just as perfectly manicured as it does in William’s picture. 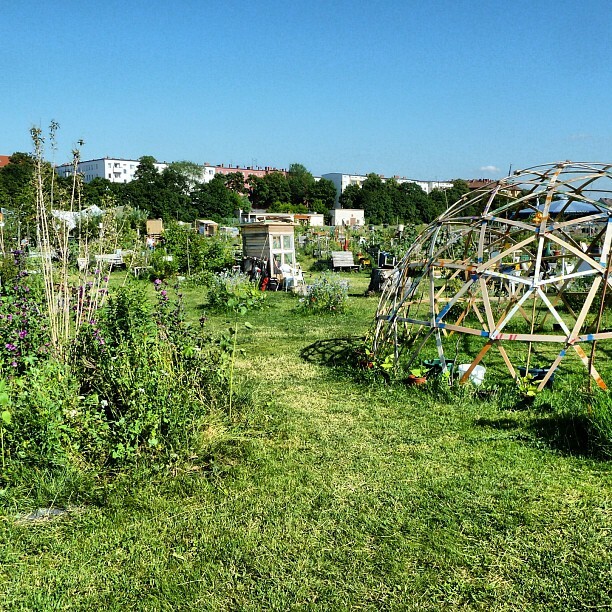 The opposite of heavy-handed park styling, these ramshackle community gardens at Tempelhofer Feld, the park developing at the former Tempelhof Airport, have sprung up in every conceivable form. The little settlements of crates and plants have a great atmosphere; I feel like I’m in Roxaboxen. 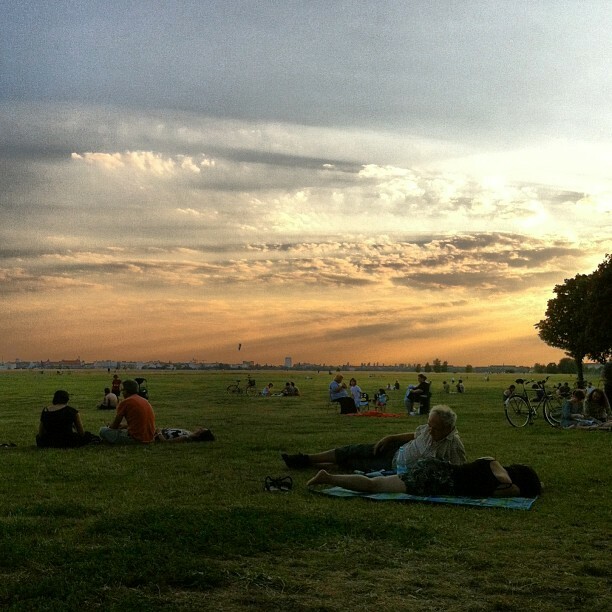 William, props for bottling so much of the essence of Berlin’s parks in your photos in just one summer. I would love to have them as a book, and I suspect some of our readers would too. Thank you to William Niendorff for his kind permission to republish these photos. For many more photos, please visit his site, Planting Art. I hope you will feature this work again when the book is published. Gorgeous! Glad you like William’s photos as much as I do. He’s still researching publishing options so if you know of a press that’d be interested, please let me know or get in touch with him directly! I really want to see this book in print.